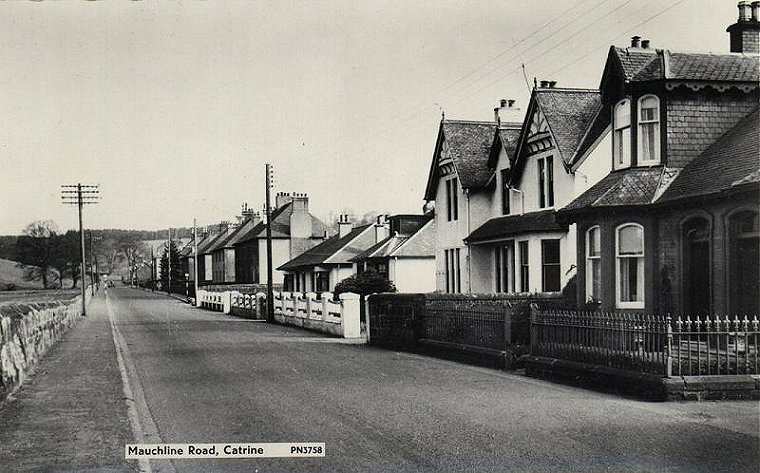 Mauchline Road, Catrine takes in Cowan Place, at the village end, and nowadays a whole new estate built in the Burnpark. The photo content in the above two images is obviously the same, but notice the different text on the postcard, including different spelling. 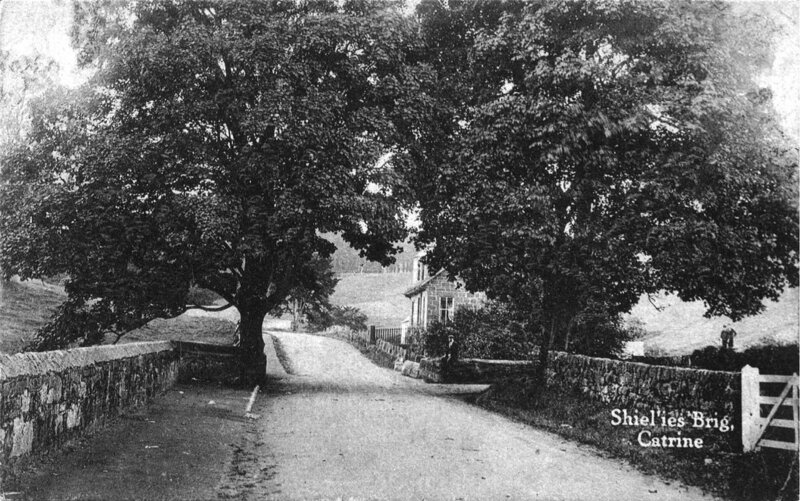 Not necessary uncommon on old post cards. 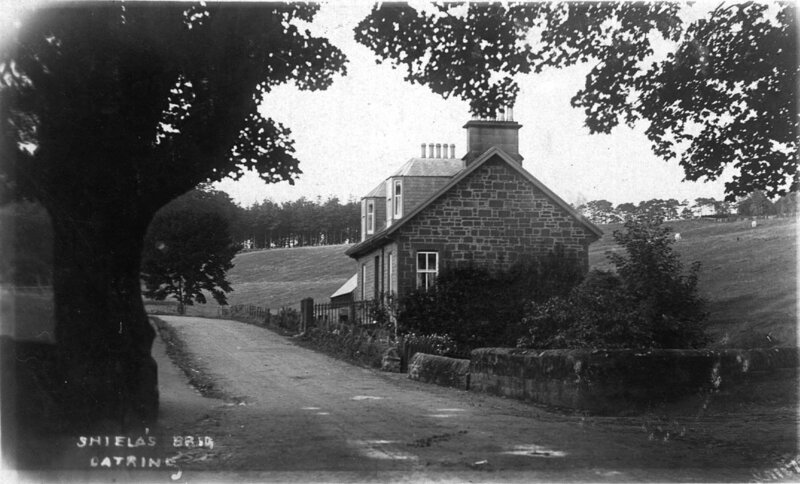 Left: A Similar view to the above image, and right Burnside Cottage by itself. 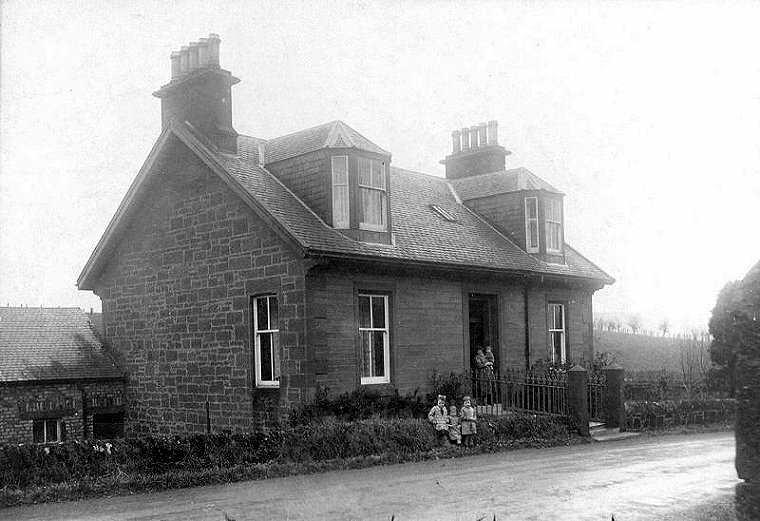 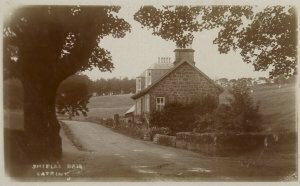 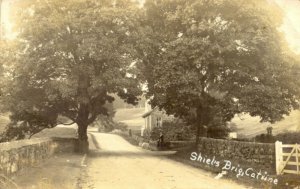 The house is very much recognisable to this day, at the very end of Mauchline Road. Looking from Burnside Cottage area towards Catrine, on the Mauchline Road. 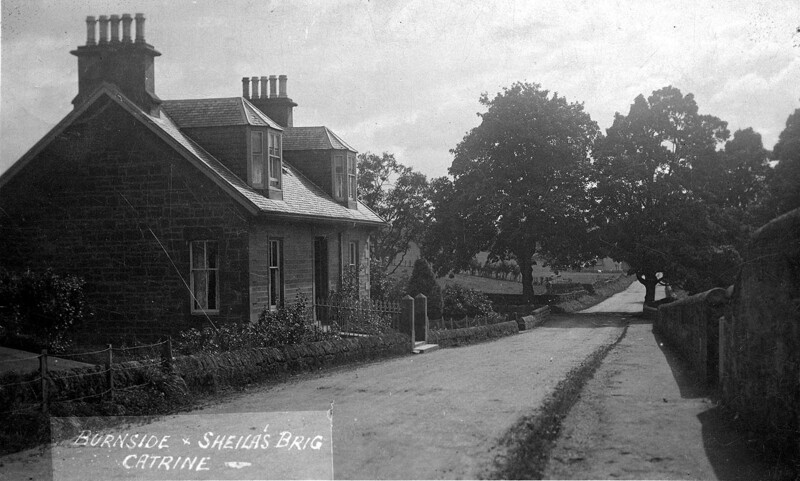 The right hand view is a sample of the centre of the first photo. The houses in Mauchline Road are not built in this image. 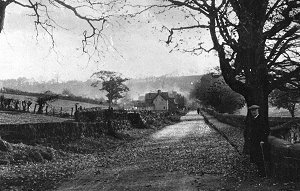 It looks like there has been a sharp autumn frost, as the leaves have fallen from the trees, and are still lying on the road. 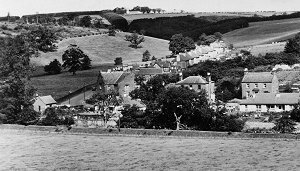 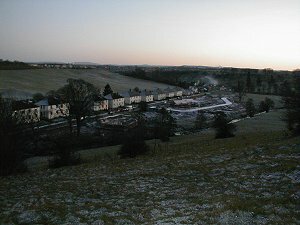 Looking towards Mauchline and Ballochmyle from "Cowan Place". These two cards are pretty similar, but not identical. 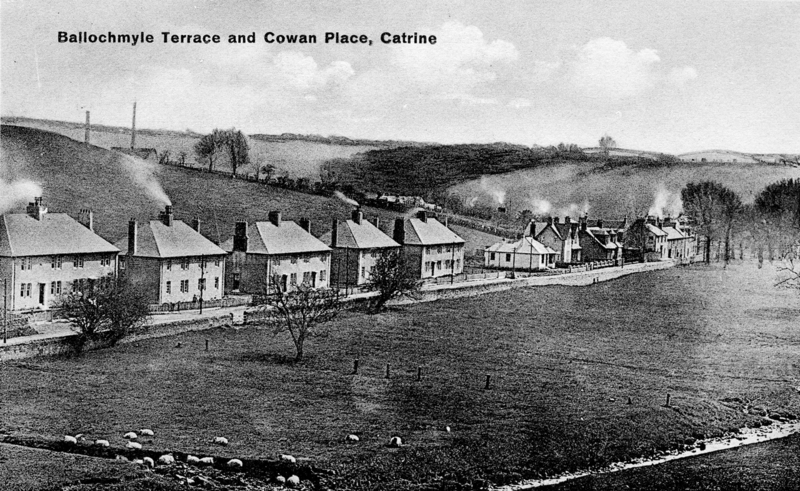 Similar views looking towards Catrine village. 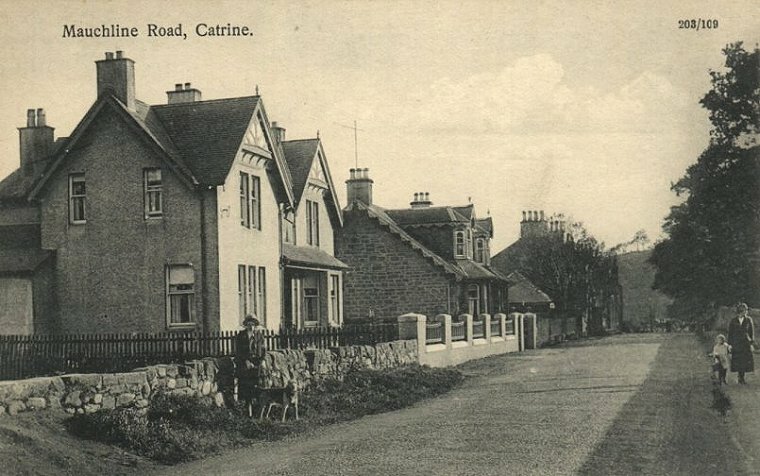 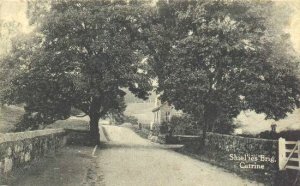 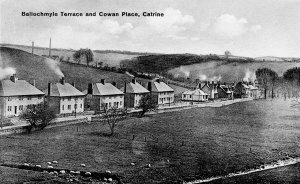 The card on the left 203/42 is titled as Cowan Place, while the other card on the right, 203/109 is titled as Mauchline Road. 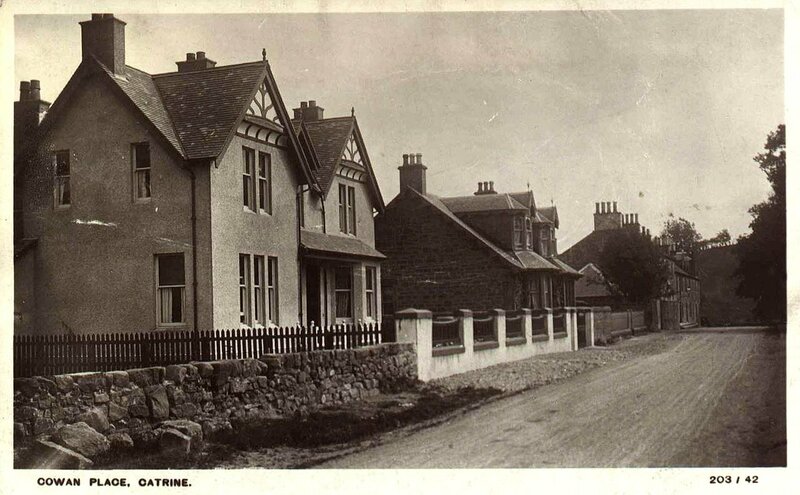 Again, this is not unusual with old postcards. 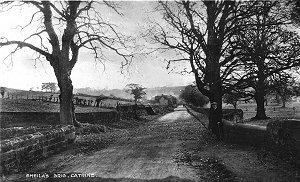 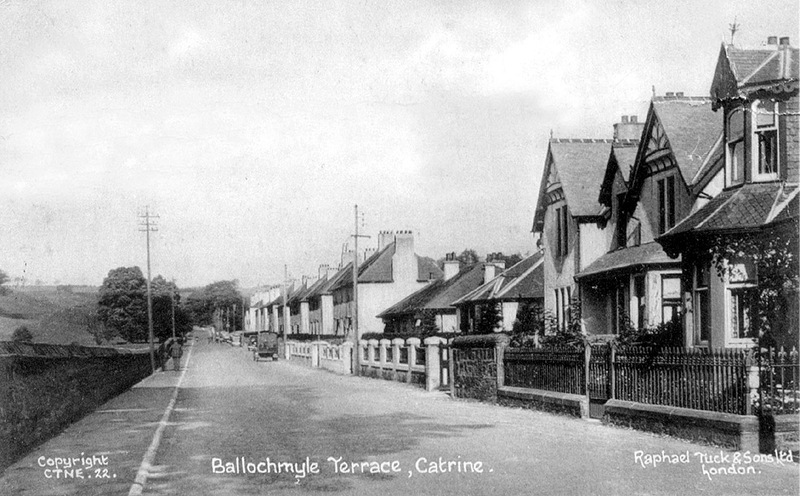 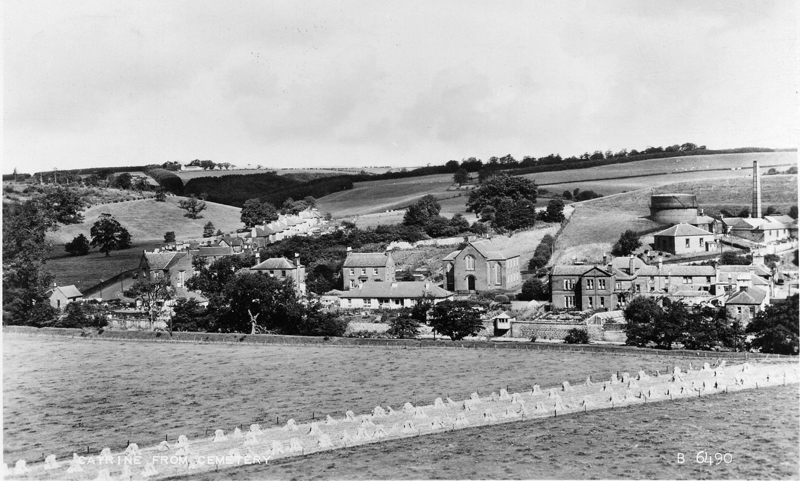 Catrine from the cemetery, looking towards Ballochmyle and The Mauchline Road. 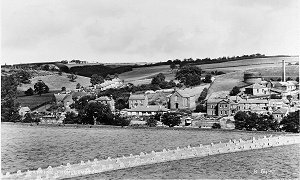 The image on the right is a sample of the left hand image. 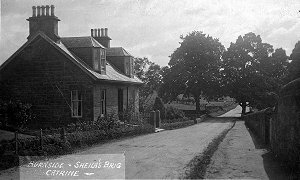 The postcard reference number B6490. 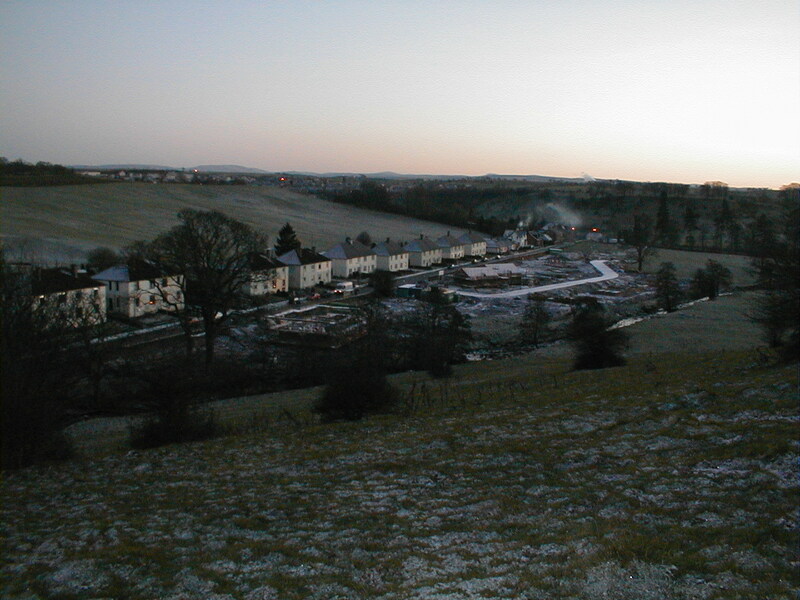 Some other images of the relatively new development in the Burnpark being built, should be pubished here soon.